Jack Pepper (b.1999) has composed for the Royal Opera House, Classic FM's 25th Birthday, the Royal Philharmonic Society, the Royal Liverpool Philharmonic Orchestra and the Bournemouth Symphony Orchestra. He has recorded his work with acclaimed conductors, including Sir Antonio Pappano, Vasily Petrenko and Kirill Karabits. Recent commissions include a major project for the Orlando Contemporary Chamber Orchestra. 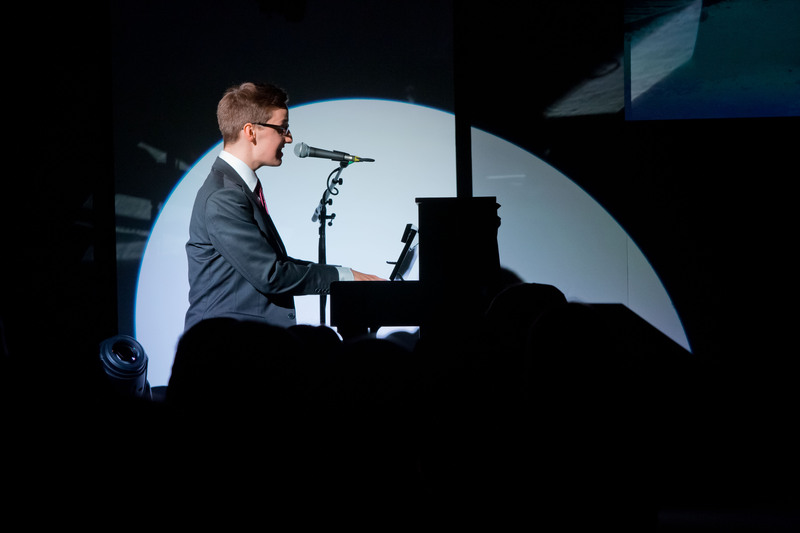 Aside from classical composition, Jack writes popular songs and jazz; he performed his original song 'One Day' live at the Holocaust Educational Trust Appeal Dinner in Central London before an esteemed audience, including the Home Secretary and Chief Rabbi. As a jazz composer, he was commissioned by Canada's SymphRONica, who performed Jack's work at the Canada 150 Celebrations in Trafalgar Square, as well as at the Edinburgh Fringe Festival and in Toronto. He is currently working closely with the Military Rehabilitation Centre at Headley Court, having composed a song for the military hospital and been appointed as a Trustee of the DMRC Benevolent Fund. He premiered his song at Headley Court's final ever Beating Retreat ceremony, where he performed alongside the Band of HM Royal Marines and the Headley Court Choir. Besides composition, Jack is a regular presenter on Resonance FM, writing and presenting 'Musical Minds' every Tuesday from 4pm-5pm. He is also working closely with the BBC. Many of his articles have also appeared in print and online; Jack has written opinion pieces and blogs for BBC Music Magazine, Gramophone, the Royal Philharmonic Society Blog and Jessica Duchen's JDCMB. He reviews for Opera and Opera Today. He is particularly passionate about music education, bringing classical music and live performances to younger audiences.